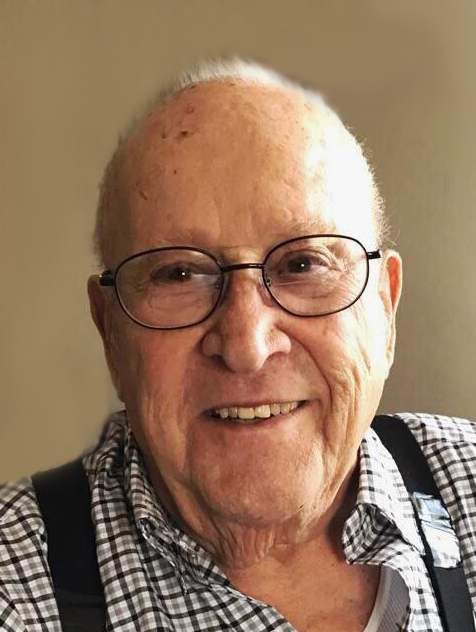 Alexander “Alex” Schafer, 93, of Mandan, passed away at his home on August 19, 2018. Mass of Christian Burial will be held on Friday, August 24, at Church of St. Joe’s at 10:30 a.m. with Rev. Josh Waltz as celebrant. Following the service, burial will be held at the North Dakota Veterans Cemetery, Mandan. Visitation will be held on Thursday, from 5:00-8:00 p.m. at Weigel Funeral Home with a Parish Vigil/Rosary at 7:00 p.m. Visitation will continue one hour prior to the service at the church. Alex was born to Peter and Katherina (Huck) Schafer on May 1, 1925. He was born and raised in Glen Ullin, ND. At the tender age of 17, he enlisted into the United States Navy. He served his country proudly from 1942 to 1945 as Seaman 1st Class. He was a cook and also manned a 24 mm gun aboard the USS San Carlos in the Pacific Theater. In October of 1944, he bravely took part in the Battle of Leyte Gulf near a chain of the Philippine islands. The battle is considered to be the largest naval battle of World War II. Alex was a proud Navy man and even prouder World War II Veteran. He met the love of his life Angeline (Angie) Jochim at a dance in Judson, ND. This was the beginning of their unwavering love story. The two were united in marriage on June 23, 1947 in Flasher, ND and spent the next 70 years as husband and wife. Together they lovingly and “energetically” raised their 11 children. Alex worked very hard to support his large family. Notably, he was a print setter for the Bismarck Tribune for 31 years - retiring in 1986. He was also the Bismarck Tribune Circulation Manager for the Mandan carriers. He also owned Mandan’s iconic Ohm’s café which the spatula was eventually passed onto his daughter Sharon and son Tim. Alex is survived by his children, Alex Jr. (Christy) Aurora, CO, Charles, Mandan, Deborah (Cliff) Kaiser, Mandan, Mary (Ray) Johnson, Mandan, Timothy, Mandan, Donald (Annette), Minot, Mark, Bismarck, Arthur (Val) Bismarck, Paula (David) Alfstad, New Salem, Judy (Alan) Billehus, Williston; 19 grandchildren; 14 great grandchildren; sisters, Eva (Earl) Story, Malcom, IA, Loretta (Richard) Schantz, Glen Ullin, ND, Alice (Art) Boulet, VT; brother, Tom (Gloria) Schafer, Dickinson, ND. He is preceded in death by his parents, Peter and Katherina; his wife, Angeline; daughter, Sharon; grandson, James; sisters, Rose Palmer, Mary Sims and Tillie Fullerton; brothers, Franz, George, Edward, Harry, and Joe. In lieu of flowers, memorials may be made to the North Dakota Veterans Cemetery, Mandan.